Wares of the shops that are permanent fixtures in the courtyard -- a seamstress, a window glazier, a second-hand clothing store, a hair stylist, cooks’ kitchens and an Ethiopian restaurant were proudly displayed on tables arranged around the perimeter of the space, in the midst of art installations and amazing musicians. 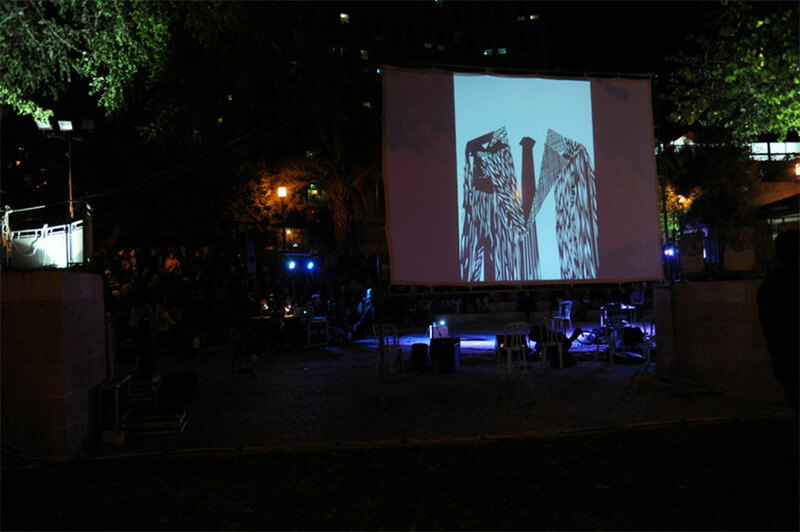 The cornerstone of the evening was the series of personal and intimate presentations by eight artists, who represent the cutting edge of Israeli contemporary art. Each of them gave the audience a seven-minute glimpse into their creative lives, their passions and the sources of their art. Their stories were spun as tales told through words, music, juggling and video and the images were projected onto a large screen. 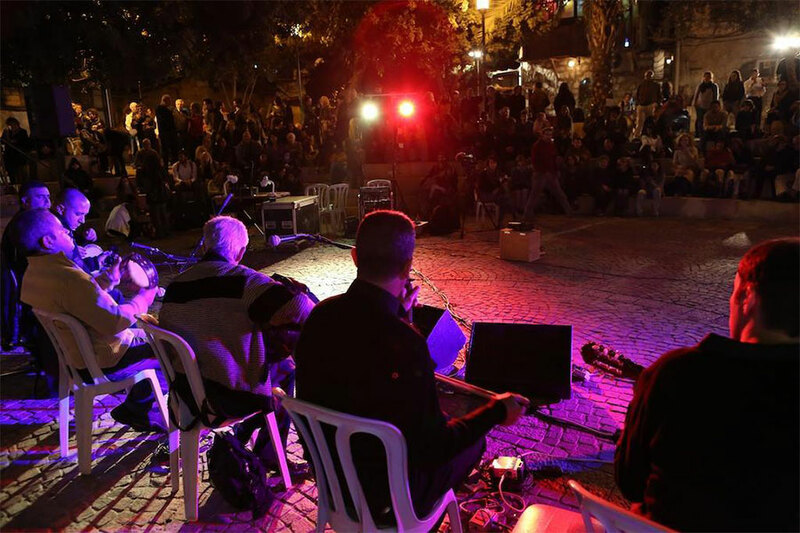 The finale of the event was North African music with a touch of the blues performed by Nino Biton and the Maghreb Orchestra. 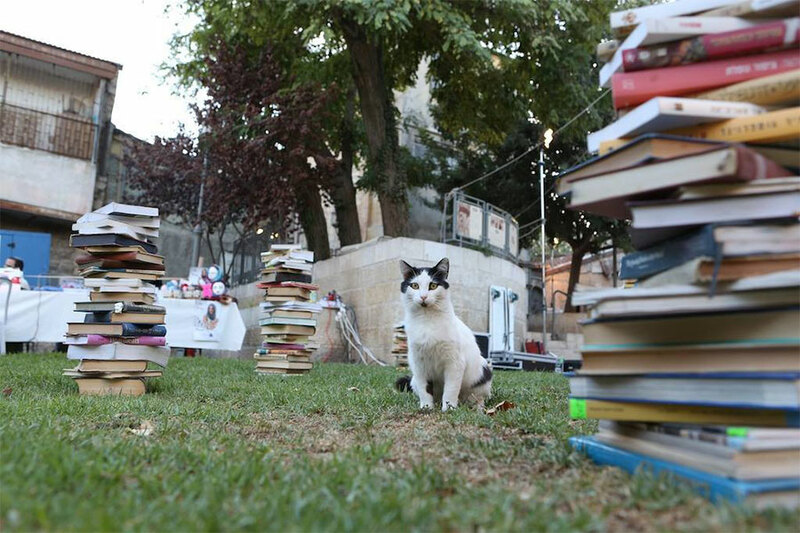 This was the realization of a dream: a collaboration between the Jerusalem art audience and the neighborhood community in an historical and ethnically diverse part of the city center. There are many groups of artists working in the downtown area but in isolation from the local community, which for its part does not take an interest in the artistic activity. PNINA was a successful attempt to make the artistic activity accessible to the neighborhood, and vice versa. I met with the residents of the old houses surrounding the courtyards and I heard their stories. I learned about the small businesses, the local craftspeople and the ethnic restaurants and together we built an event in which the inhabitants showed what they do and the performance artists responded. In parallel, I worked with director Anna Waisman and we invited the artists who appeared to talk in seven minutes each about the "backstage" of their work to an audience of art-lovers and local residents. 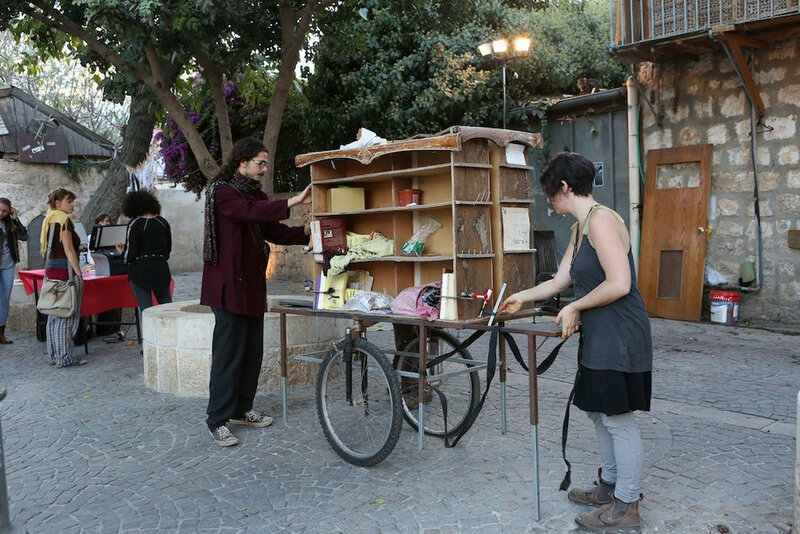 Artists: Hannan Abu Hussien, Sasha Okun, Shai Azoulay, Hadassa Goldvicht, Chaya Ruckin, Tamar Shippony, Tsila Hassine, Elham Rokni.